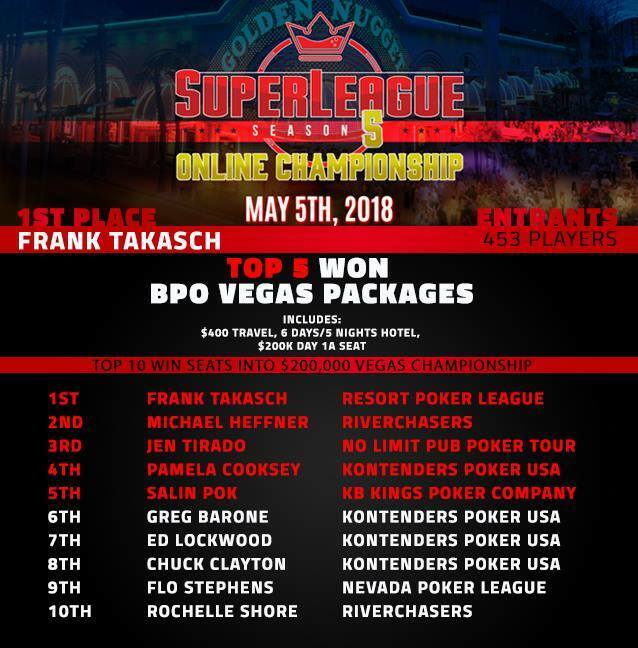 The “Bar Poker Open Super League” was devised as an additional way to enable players in affiliated leagues to win seats and travel money for the BPO National events. Season 7 began October 1, 2018 and runs through May 5, 2019. The online final will be May 11, 2019. 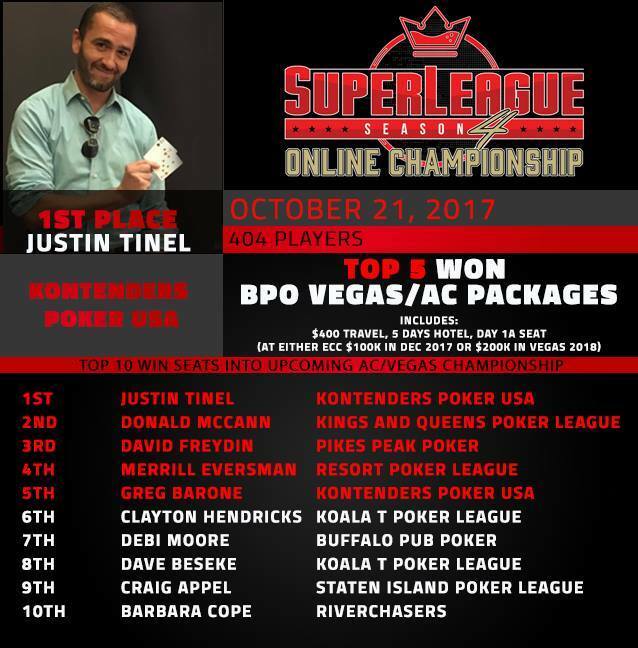 Click here for details from the Bar Poker Open website. 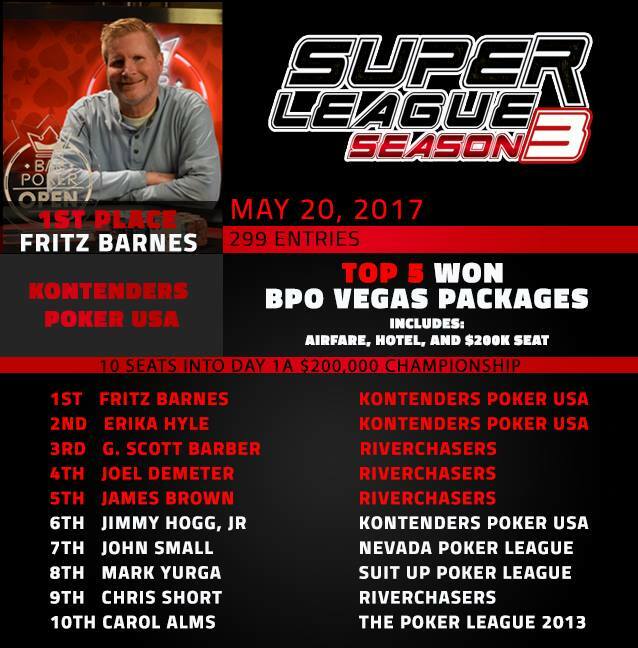 In addition to tokens for the top three players, all BPO nightly events award Super League points to the top 20% of players each night. 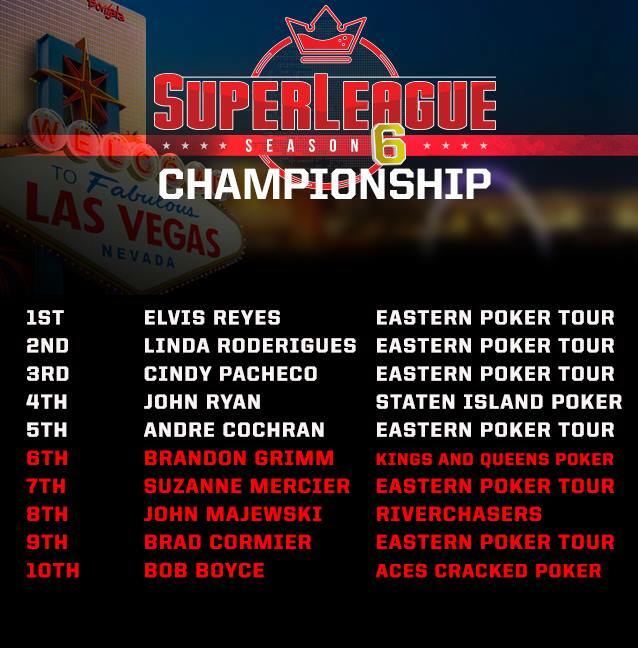 These points will be tracked on the Bar Poker Open website, where our players will be ranked within their regions based on their cumulative scores. For every FIVE events, one player is invited to pay full buy-in for entry into the $100k East Coast Championship. 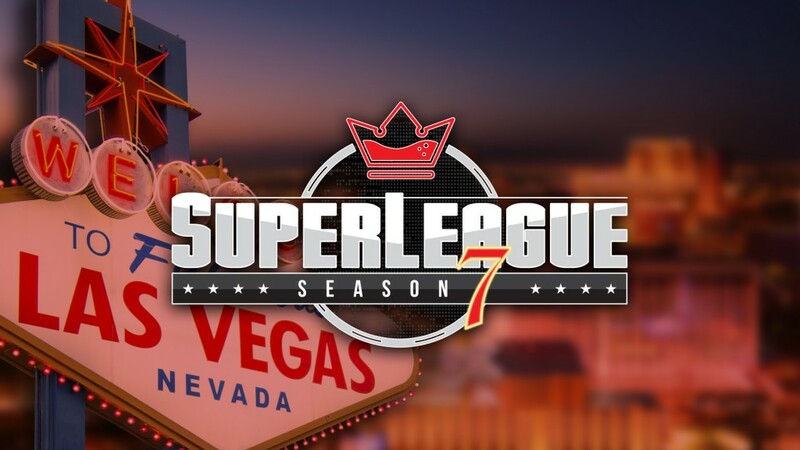 For every TEN events, one player will be invited to the nationwide Super League Online Championship, where BPO seats and FIVE travel packages valued at $700 each will be given away! And, for every FORTY events, one player will receive a Tournament Bonus Add-On or Re-Buy for the Super League Online Championship. Kontenders Players Again a Force in the Season 4 Online Final! Congrats to the following Kontenders players who placed in the Season 4 online final, taking two of the top five spots! Kontenders Players Showed up Big for the Season 3 Online Final! Congrats to the following Kontenders players who placed in the Season 3 online final, taking three of the top six spots!